For venues, public buildings and educational establishments, entrustIT offer managed wireless solutions from Ruckus. Ruckus ZoneFlex brings state-of-the-art Wi-Fi advances and packages them into an affordable and easy-to-use “smarter” wireless LAN system. 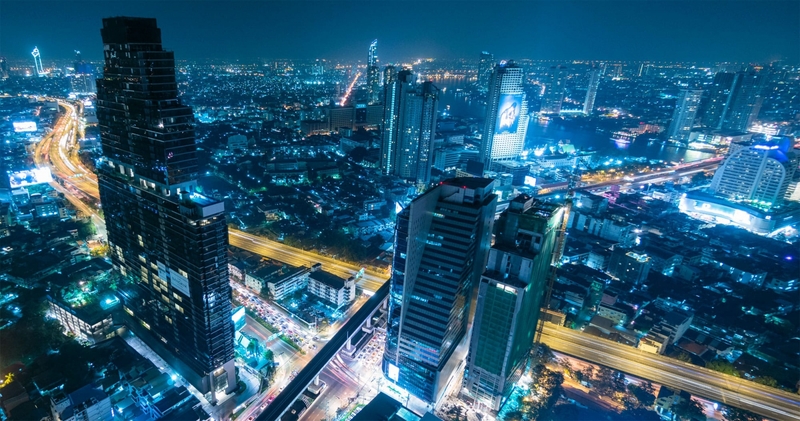 The smarts come from breakthroughs such as dynamic beam forming, Smart Mesh Networking and automatic interference avoidance, that make Wi-Fi signals extend farther and more reliable. But the beauty is that ZoneFlex masks the complexity of these capabilities – making it simple for SMEs to reap the benefits without the headaches. 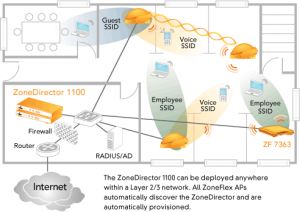 The Zone Director provides WLAN-wide network, security, RF, and location management within a easy-to-use system that costs way less than competing products. It automatically manages the ZoneFlex network of APs, adjusting transmit power levels and RF channel assignments to prevent adjacent APs from interfering, and enabling redundant coverage if an AP fails. Configuration changes can easily be applied to multiple APs or to the entire system simultaneously. A customizable dashboard provides instant access to a variety of client and network information and events, and a real time heat map displays AP locations and signal coverage, as well as Ruckus Smart Mesh Networking topology. 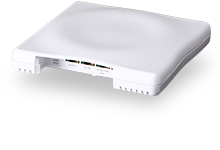 The Ruckus ZoneFlex 7363 delivers high-performance and reliable 802.11n wireless networking at one of the industry’s most affordable price point. A sleek and low-profile design, the ZoneFlex 7363 was purpose-built for cost-minded enterprises requiring reliable high speed client connectivity. It is ideal for a variety of enterprise and hotspot environments including hotels, schools, retail outlets, branch offices and public venues. The dual band ZoneFlex 7363 can be deployed as a standalone access point or as part of the centrally-controlled Smart Wireless LAN with the Ruckus ZoneDirector. The ZoneFlex 7363 can also be easily deployed using Smart Mesh Networking to extend Wi-Fi services in locations where Ethernet cabling is not available or cost prohibitive.